The Sony Alpha A3000, announced earlier this week, is sort of a departure that fits between Sony’s SLT DSLR-style cameras and their NEX mirrorless system. Designed as a step-up camera for point-and-shoot owners, it has what appears to be the same 20.1-megapixel APS-C sensor that Sony introduced with the Alpha SLT-A58, earlier this year; and it has a DSLR-style body with a built-in EVF, like Sony’s other Alpha DSLR-style cameras. 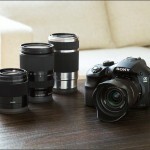 But instead of the A-mount they use for DSLR lenses, the A3000 uses Sony’s E-mount for smaller NEX system lenses. 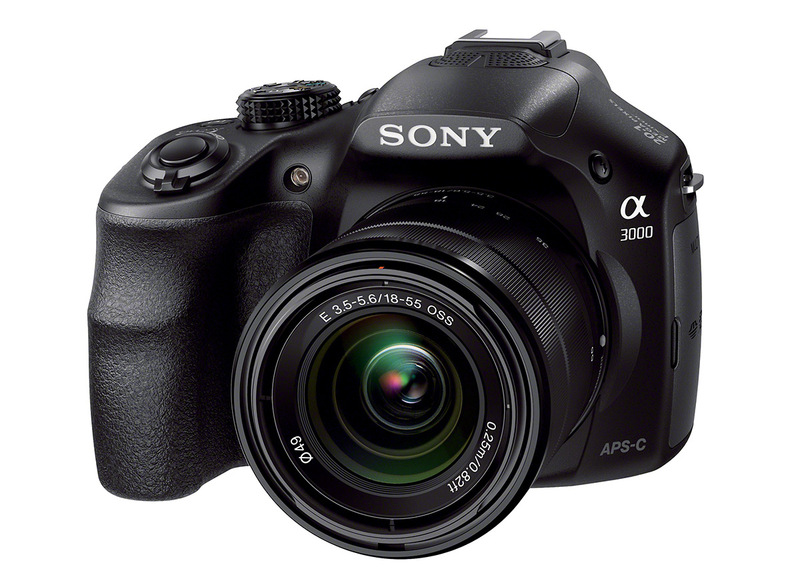 The A3000 is also a whole lot smaller than Sony’s SLT cameras – compared to the SLT A58, the A3000 measures about an inch shorter in each dimension. Although it looks like a DSLR, and has an eye-level viewfinder, the new A3000 is actually more mirrorless camera than DSLR – an NEX camera in Alpha clothing, if you will. 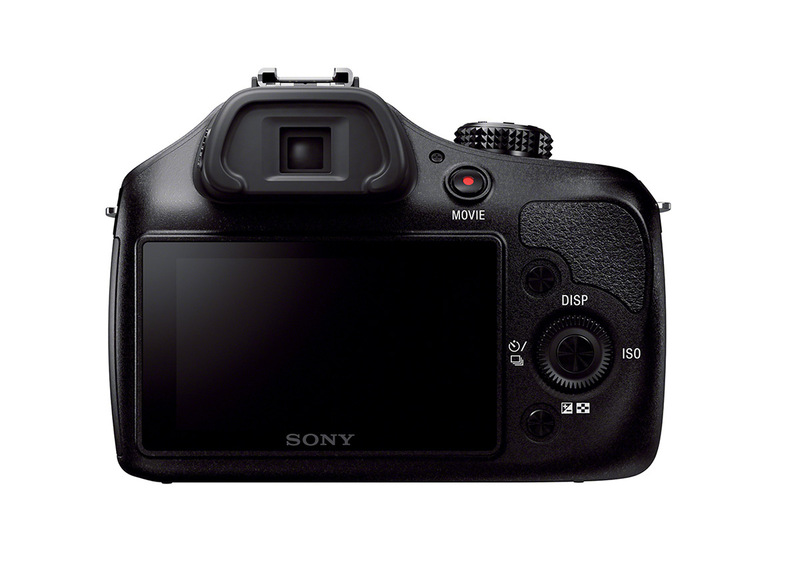 Unlike Sony’s SLT DSLRs, the A3000 has no mirror and the 25-point auto focus system is all contrast detect, with no “hybrid AF” phase detect pixels on the sensor. With just contrast detect AF, auto focus performance should be quick for pre-focused, still subjects. But it won’t have the excellent continuous auto focus performance of Sony’s SLT cameras (learn more about Sony Alpha SLT cameras) or newer NEX cameras like the NEX-6 that have hybrid AF – especially not for video. 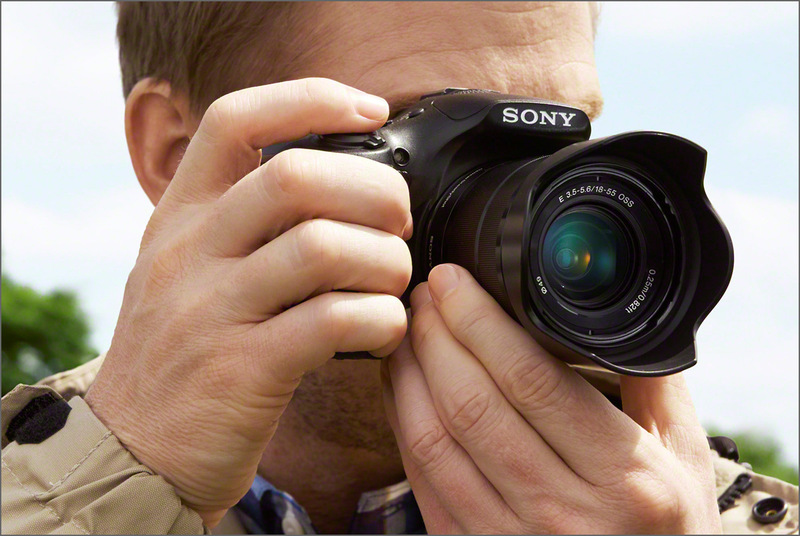 For reference, Sony says the A3000’s contrast detect auto focus should be comparable to the NEX- 3N. Multi Interface Shoe for flash, microphone, etc. As far as features go, the A3000 has everything point-and-shooters are going to want from an upgrade – interchangeable lenses, full HD video, built-in Wi-Fi for easy mobile sharing and an eye-level viewfinder. The electronic viewfinder is actually a bigger deal than most people realize. Of course, it’s easier to use in bright sunlight, where glare on the LCD is a problem. But because it’s a live view electronic viewfinder, you can also use the A3000’s EVF while shooting video, something you can’t do with a traditional DSLR that has an optical viewfinder. 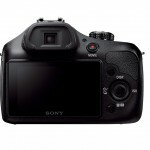 The EVF also reflects setting changes like white balance and exposure. A less obvious and rarely mentioned benefit of an eye-level viewfinder is it adds a third point of contact, helping to steady the camera for still photos and video. That makes a huge difference when shooting in low light or trying to record handheld video. It’s also nice to be able to see the same information in the viewfinder as you see on the LCD display – including reviewing photos and playing back videos. 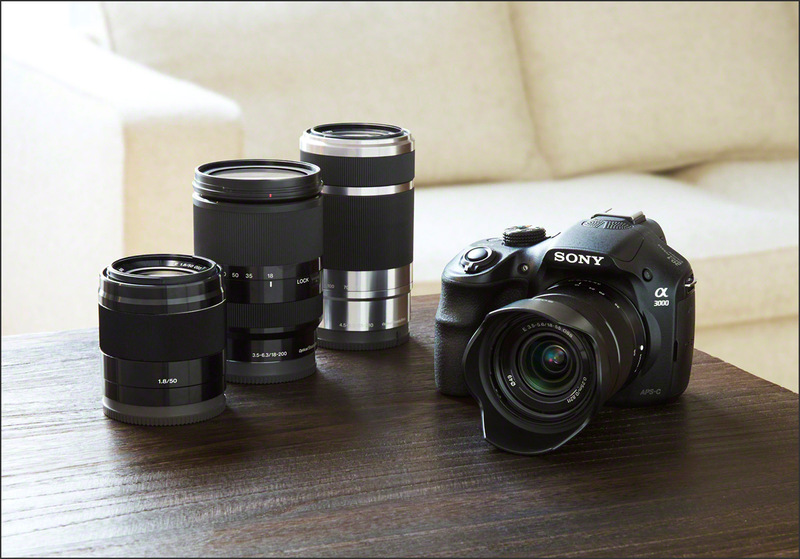 The Sony Alpha A3000 is scheduled to be available in early September – perfect timing since it’s going to make a great Holiday gift. 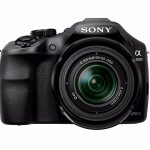 The suggested retail price is a very affordable US $400 – and that includes an 18-55mm zoom lens. That’s a hell of a lot of camera for the money if you think about it. It’s actually less expensive than a lot of compact cameras and offers much better performance than a point-and-shoot in pretty much every way. 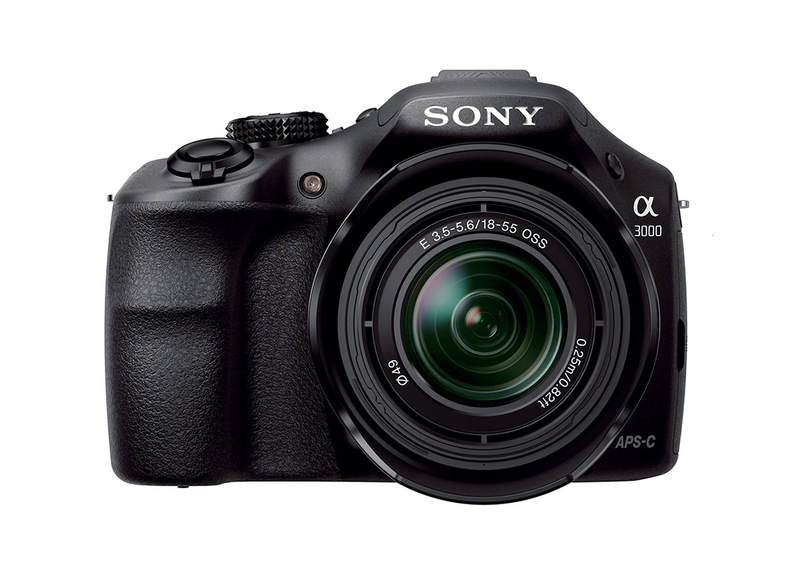 The more I think about it, the more I think Sony has nailed it with the A3000. It looks like the perfect step-up camera for people who are ready for more than a point-and-shoot, with perfect pricing to match. I expect Sony will sell a ton of these. Video: Welcome To The "Mirrorless Camera Party"
- If Sony brings out a range of cameras like this then will they also keep the Alpha mount series? 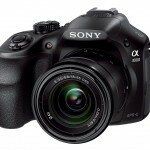 - One of the press releases says this camera is “familiar”, “easy to use” and “inexpensive”. Does this mean that the other NEX bodies are not?